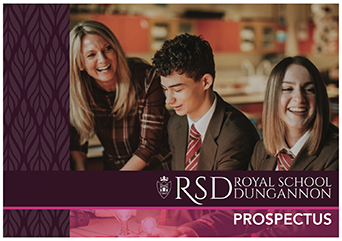 At RSD we understand that choosing a career path and which subjects to study at this early stage can be a daunting prospect. This is natural and nothing to worry about. The Careers staff, along with the Head of Year, the Heads of Key Stages 3 and 4 and the subject Heads of Department are on hand to advise. Parents are invited to a special parents evening to discuss the many and varied options open to our pupils. This page identifies the compulsory GCSE subjects along with the many options subjects on offer and allows you to view online or download the comprehensive Options Booklet. There are three compulsory areas of study: English, Mathematics and Science. Some choice is possible within these areas. These choices can be summarised as follows. All pupils will study GCSE English Language. Some pupils (about 55% of the year group) will study GCSE English Literature as well as English Language, sitting both examinations at the end of Year 12. Selection is based on performance in the Year 10 English examinations. All pupils will study GCSE Mathematics. The first two classes will also study GCSE Further Mathematics in Year 12 (about 55% of the year group), having taken the GCSE Mathematics examination in Year 11. Remember that the normal entry requirement for each of A Level Mathematics and A Level Physics is a minimum of a grade B in Further Mathematics. Pupils taking Double Award Science or two separate sciences will choose four further subjects from the options below. Those taking three sciences will choose three further subjects. All pupils take non examination R.E., Learning for Life and Work, P.E. and Games. Pupils who do not study English Literature will take GCSE RE Short Course which is worth half a GCSE. Initially pupils have a free choice and the option blocks will be determined in order to satisfy as many pupils as possible. The Options Booklet expands greatly on the information on this page and gives details of subjects which may not be very familiar to parents or pupils, including the provision for Double Award Science. A good Art and Design education develops the intellect, heightens aesthetic sensibility, stimulates creative ability and enriches our lives. Chemistry is the study of matter and energy and the interaction between them. Further Mathematics is a GCSE qualification which both broadens and deepens the knowledge of mathematical principals. Physics is more than a subject – it trains your brain to think beyond boundaries. A physics qualification opens the doors to all sorts of jobs and courses. Developing pupils’ knowledge and understanding of religion, religious beliefs, practices, language and traditions and their influence on individuals, communities, societies and cultures. GCSE Digital Technology aims to prepare pupils to cope with the increased dependence on computer systems in our society. English Literature provides an excellent basis for studying at Advanced Level as it promotes careful reading and teaches essay writing skills. By studying Geography you will gain an awareness of your own responsibilities and how you can contribute to a future that is sustainable and inclusive. 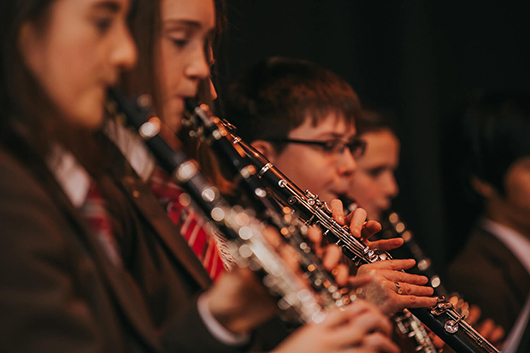 Music is an important part of the education of a well-rounded pupil, disciplines learnt here help in all other subjects. Double Award Science allows pupils to study all the Sciences but to a lesser extent than completing the separate Sciences. Design and Technology allows you to learn about Systems and Control. Opportunity to further develop your nutritional and health knowledge, consumer skills and food safety expertise. Someone once said that we should study History so that we can watch the television news with understanding. Physical Education is all about developing a healthy, active approach to life, it’s designed to foster enjoyable participation in exercise and training. 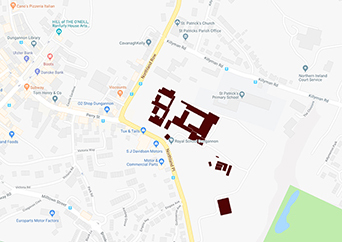 Please note that, while every effort is made to accommodate pupil preferences, the School reserves the right to determine the final selection regarding allocation to any subject or class. In exceptional cases this may include reference to the professional judgement of teachers.